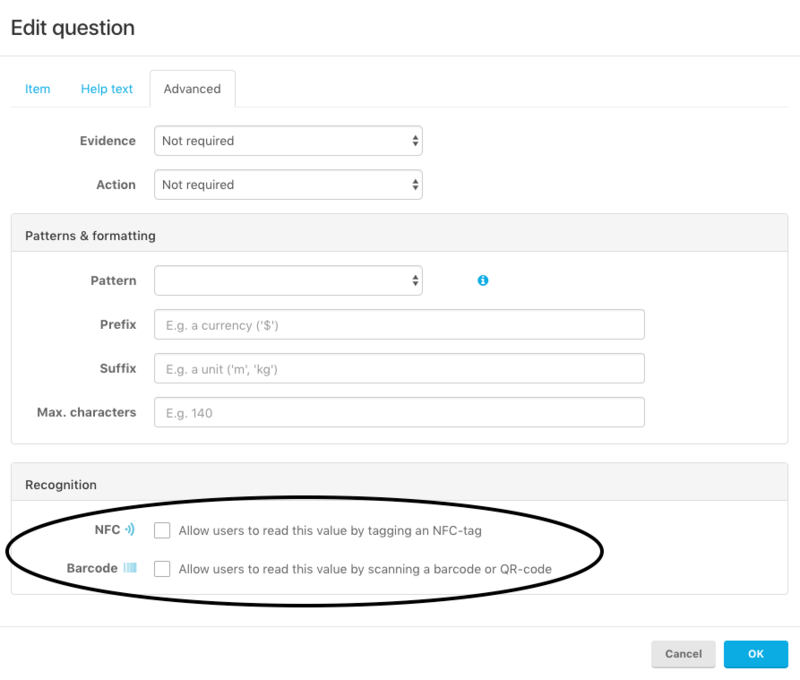 While adding a question you can enable input from NFC, QR and bar codes. Simply go the 'advanced' tab and check the boxes for which input you want to use! Note that you can only enable this for the question types 'Short text', 'Long text' and 'Number'.